At Barnstone Advisors, we approach investment management as one leg of the planning stool. Our portfolio management style reflects a combination of the science of investing with the art of the client-planner relationship. Our client portfolios are uniquely designed to fit the individual needs and goals of each client. We overlay our clients’ unique situations and risk tolerances on our guiding principles to determine the most appropriate investment approach to achieve their goals. Barnstone measures success not by performance, but rather by the achievement of your goals. 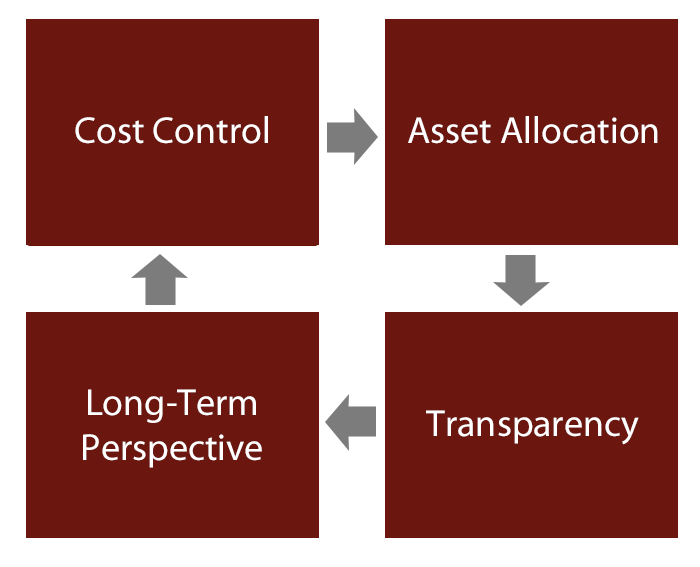 Cost reduces returns and often investors do not understand all of the cost components involved in the management of their portfolio. With all other things being relatively equal, we will learn towards the management solution with the lower cost. We identify an allocation across a variety of asset classes and segments to provide the optimum balance between anticipated risk and return for each individual client’s goals and tolerance levels. A properly balanced portfolio is not only positioned for long-term growth, but should also reduce potential short-term losses due to its diversification. Transparency is at the core of everything we do – from investment selection, to financial planning, to our client experience. We make sure to explain each step throughout the process and ensure you have an understanding of why we are making the recommendations. Transparency is critical to the growth and maintenance of our client relationships. We embrace a long-term perspective when we create our investment portfolios. Our approach is focused on helping our clients achieve their lifetime financial goals – not to maximize quarterly performance. Markets rise and fall every day and investing fads come and go, but we have the confidence and discipline to stick to our investment approach and position our clients’ portfolios for long-term success.